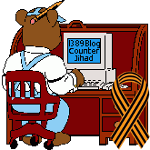 US puppet Ukrainian PM Yatsenyuk booed in Aachen, Germany — 1389 Blog - Counterjihad! Interim prime-minister of Ukraine Arseniy Yatsenyuk booed and whistled by the German public in Aachen on Thursday May 29 after Charlemagne Prize award ceremony. They chanted “Yatsenyuk – terrorist!”, “Shame on you!”. Just before lunch on Friday, two cars left the Marriott hotel in Copenhagen in quick succession. First to leave was laden down with US military brass. It carried the supreme allied commander in Europe, General Philip Breedlove, and his aides. Four stars on his hat and a grim look on his face. Clearly he’s annoyed to be missing the buffet. He can still smell those Danish meatballs. It’s killing him. The general hadn’t travelled to Bilderberg alone. Discussing the situation in Ukraine with this many senior government ministers makes it official military business. He was well accompanied. A few minutes after the hungry general had been swooshed off, out popped the secretary general of Nato, Anders Fogh Rasmussen, aka “the Fogh of War”. Now, we knew from the officially released agenda that Ukraine was scheduled to be discussed at this year’s conference, and we know that the Friday morning session was on this topic, because one of the participants- the Dutch politician Diederik Samsom – told us so. It was lunchtime on Friday, not long after the two heads of allied forces in Europe had left the hotel. Samsom, the leader of his country’s Labour party, was enjoying a quiet glass of champagne on the patio. Ed Balls squeezed past, clutching a huge wad of files – has he put them down the entire time he’s been here? – and Samsom pirouetted out of his way. He found himself facing the security fence. He took a deep breath and strolled over to the clutch of reporters, bloggers and transparency campaigners behind it. Samsom confirmed that the morning meeting had been about what was happening in Ukraine, which explains why Rasmussen and Breedlove were hot-footing it out the door straight afterwards. Their job was done. Or just starting. And make no mistake. Bilderberg is part of their job. This wasn’t a jolly. This was briefing papers, dress uniforms and military aides. Land Rovers packed with military bodyguards. This is Nato business. US military business. Government business. Bad enough that you’ve got military chiefs briefing arms companies bosses – in private – about their hopes and dreams for Ukraine. But you’ve also got billionaire speculators and the heads of gigantic private equity funds listening in. People who stand to make a killing out of knowing where and when the bombs are going to fall, how many and on whom. People like David Petraeus, the former director of the CIA and now head of KKR’s Global Institute, the advisory wing of a multibillion dollar private equity company. Here’s the general, cracking the glass on an expensive lens with his thousand-yard stare. The KKR Global Institute prides itself on “knowing how to respond to emerging geopolitical and macro-economic trends”, which enables “smart investing, portfolio management, and risk mitigation”, in other words getting the inside tip. And once you’re inside Bilderberg, you’re hearing “emerging geopolitical and macro-economic trends” right from the secretary general of Nato’s mouth. Very profitable, I’m sure. The Bilderberg conference is a five-star car crash of the public and private sectors. It’s full of scenes like this: the head of MI6, Sir John Sawers having a cheery one-to-one with Carl-Henric Svanberg, the chairman of BP. That might not matter a whole lot, except that a few minutes ago the head of Nato was carefully briefing them – and the heads of HSBC, Shell and Deutsche Bank – on the situation in Ukraine. Sawers is in charge of British foreign intelligence. Is he briefing Svanberg now? Who, as they say, is zooming who? “Russian Aggression Prevention Act of 2014″: Another U.S. Style Violent Regime Change? Corker and fellow Republican Party senators have shepherded to full U.S. Senate passage the «Russian Aggression Prevention Act of 2014». The law, if enacted, would subject Russia to the same level of draconian sanctions currently employed by the United States against Iran, Syria, and Sudan. There is no doubt that such sanctions have one intention: U.S.-style violent regime change as previously directed against Libya and Iraq. Corker’s Senate co-sponsors include the typical neo-conservative riff-raff associated with other Cold War-era foreign adventures of the United States. Florida Republican Senator Marco Rubio, the Cuban-American Republican wunderkind who is a right-wing favorite for the presidency in 2016, weighed in with his support for Corker’s bill. Rubio is pushing for similar sanctions against Venezuela and Nicaragua. Also supporting the Corker bill is Corker’s Republican colleague from Tennessee, Lamar Alexander. The chief supporter of the sanctions bill is Arizona Republican Senator John McCain, a longtime Russophobe who has never passed up a chance to confront Russia militarily, whether it be in Syria, Afghanistan, or Ukraine. The Corker bill would impose travel bans and asset freezes on Russian government and Russian corporation officials. Targets include President Vladimir Putin, Prime Minister Dmitry Medvedev, and deputy prime ministers and government ministers. Several Russian firms are targeted in the legislation, including Sberbank, VTB Bank, Vnesheconombank, Gazprombank, Gazprom, Novatek, Rosneft, and Rosoboronexport. Corporate targets include «senior executives» of institutions, defined by the law as «a member of the board, chief executive officer, chief operating officer, chief financial officer, secretary, treasurer, general counsel, or chief information officer, or the functional equivalent thereof, of an entity». The Republicans seem intent on punishing former officials of its NATO allies, including Germany and the Netherlands. For example, former German Chancellor Gerhard Schroder would be subject to a travel ban and asset freeze by the United States because of his chairmanship of the board of Nordstream AG, which is 51 percent owned by Gazprom. Other Germans who face asset freezes and travel bans include Nordstream board members Eggert Voscherau, the deputy board chairman of BASF AG, Reiner Zwitserloot, chairman of the board of the German gas company Wintershall AG, Burckhard Bergmann, chairman of the board of E. ON AG, and Hans-Peter Floren, chairman of the board of E. ON Ruhrgas AG. Dutch chairman of the board of Gasunie of the Netherlands, a member of Gazprom’s Nordstream board and chairman of its Southstream board would also be slapped with American sanctions. Southstream corporate officials who would also be subject to travel bans and asset freezes include corporate officials of Italy, France, Bulgaria, Slovenia, Greece, Germany, Bulgaria, and Hungary, all NATO members, as well as Austria, Serbia, and Bosnia-Herzegovina. But there may be more than «drugstore cowboy» politics involved with the Republican sanctions bill. Corker, a former mayor of Chattanooga, Tennessee, is known to have engaged in a number of illicit real estate and other financial schemes while serving as mayor. Tennessee political sources report that businessmen associated with Ukrainian steel and pipeline billionaire oligarch Victor Pinchuk had business dealings in the Tennessee city while Corker served as mayor. Pinchuk, the son-in-law of former Ukrainian President Leonid Kuchma, is also closely linked to neo-conservative U.S. politicians, including McCain; former George W. Bush political adviser Karl Rove; and Rick Davis, McCain’s presidential campaign manager in 2000 and 2008. Pinchuk is also the only Ukrainian member of the powerful New York-based Council on Foreign Relations (CFR). Pinchuk’s annual Yalta European Strategy (YES) conference, held in the czarist-era Livadia Palace on the Black Sea, draws various Western politicians, many with political and financial interests in Ukraine. Past attendees have included Rove, Soros, McCain’s foreign policy adviser Randy Scheunemann, and such corporatist politicians as Bill and Hillary Clinton, Tony Blair, John Kerry’s 2004 campaign manager Bob Shrum, Dominique Strauss-Kahn, Viktor Yushchenko, Mikheil Saakashvili, Newt Gingrich, CFR President Richard Haass, Shimon Peres, and Ukraine’s «acting» Prime Minister Arseniy Yatsenyuk. The involvement of Corker, McCain, and other Republican Party functionaries with one of Ukraine’s chief oligarchs who supported the Euro-Maidan coup in Kiev go a long way in explaining why Corker, McCain, Alexander, and other neo-con GOP senators lined up to support the bill to punish Russian government and business. However, it’s not just sanctions that are part of the Republican «aggression prevention» bill. The act would authorize President Obama to provide $100,000,000 in military equipment, including lethal equipment, to Ukraine, including anti-tank weapons and ammunition; anti-aircraft weapons and ammunition; small arms and ammunition, including pistols; submachine guns, assault rifles, grenade launchers, machine guns, and sniper rifles; mine resistant ambush protected vehicles; High Mobility Multipurpose Wheeled Vehicles (Humvees); inflatable boats; body armor; fire control, range finder, optical and guidance and control equipment; and other equipment deemed appropriate. The Senate Republicans, who have drifted further and further to the extreme right over the past decade, have no problem in providing such lethal aid to a country that now recruits members of neo-Nazi paramilitary units into the Ukrainian National Guard and armed forces. The Senate bill would also authorize the transfer of U.S. intelligence to Ukraine, specifically intelligence «on the location, strength, and capabilities of the military and intelligence forces of the Russian Federation located on the eastern border of Ukraine and within the territorial borders of Ukraine, including Crimea». And in deference to other massive and global influence-peddling operations, the Senate bill calls for the strengthening of «democratic institutions and political and civil society organizations in countries of the former Soviet Union». The goal is to create «fifth columns» in Russia, Ukraine, and other former Soviet republics to carry out the political agendas of NATO, the neo-cons, and global banking institutions. Also included in the bill is a gift to America’s natural gas «fracking» industry. The bill would provide «direct assistance» to Ukraine, Moldova, and Georgia to «exploit existing natural gas reserves» in their countries. During Vice President Joe Biden’s trip to Ukraine he promised the country help to conduct natural gas fracking to assist Ukraine in avoiding dependence on Russian natural gas supplies. After Biden’s visit, the vice president’s son, Hunter Biden, joined the board of Burisma Holdings Ltd., Ukraine largest natural gas producer.